Just when will the Manganese Ore Move? You are here: Home / In the News / Just when will the Manganese Ore Move? After a demonstration of the capabilities of the Port of Port Elizabeth’s two brand new tubs – the Mvezo and Qunu, Gama answered some questions around the training and the Maritime School of Excellence. 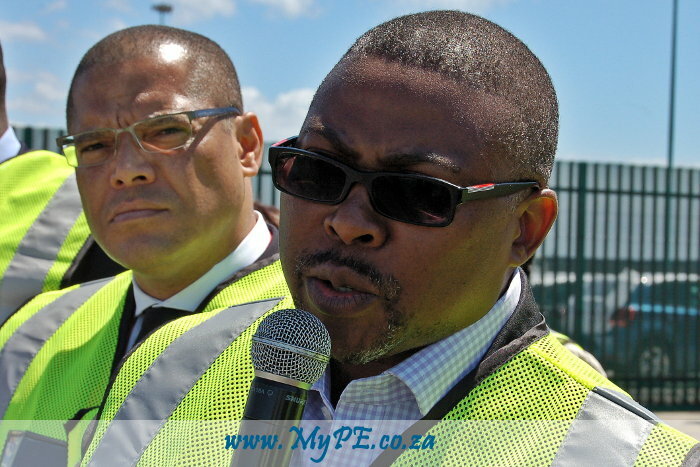 Transnet is looking at deploying 200 wagon trains into service on the 1050 kilometre line to ‘the ports’. Worrying again is the lack of clear time frames for the moving of the manganese facility – even the man at the top uses words like ‘longer term’ and ‘few years’, which to my mind demonstrates that many more i’s need to be dotted and t’s crossed. Bottom line – Don’t hold your breath in anticipation of the PE Waterfront just yet.